NEPA Blogs interview to air tonight! 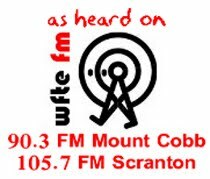 Harold Jenkins and Michelle Davies, two of the administrators / contributors to NEPA Blogs, can be heard in a radio interview at 7:55 tonight (Eastern time) with Jessica Durkin on WFTE - 105.7 in Scranton, 90.3 in the Poconos, and online at http://wfte.org/. "Listen Live!" options are available on the right sidebar of the WFTE site. Listen to hear the shocking truth behind the origin of NEPA Blogs, the secret to getting your blog noticed once it's listed, and why blogging about kittens might just earn you an arch-nemesis! One woman's efforts to listen to her muse, write what it tells her, and get it in print. This blog probably falls into the category of "Life" blogs (and I think I'll start using labels like that to help categorize the blogs we're listing), though it is also a "Writing" blog in that it documents work on a book in progress. The last post as of this writing was on June 8, 2011, when she mentioned that she was going on a two-week tour of Europe. Let's hope she starts blogging again soon - maybe with a report on that trip! One of the difficulties with finding blogs in Northeastern Pennsylvania is...well, actually finding them. I've had some luck with the Blogger "Location" feature, which will let me see the profiles of bloggers with Blogspot blogs who have identified their location as, say, Scranton or Wilkes-Barre or Towanda or Tunkhannock. I can then look at these profiles and see if these people actually have blogs, and if their blogs are active, and if their blogs are worth linking to. Or I can do a "brute force" search, Googling terms like "NEPA blogger" (that one gets a lot of hits from Nepal and Nigeria, where the electricity is provided by an outfit called NEPA) or "Wilkes-Barre blog" or terms like that. I've heard of Networked Blogs before, though I don't know anything about them. All of these blogs must be linked to Networked Blogs in some way. Each one lists how many followers it has, and then how many followers from Scranton it has. So while Mashable.com has nine followers in Scranton, that doesn't mean much considering that it has 89,290 followers total. But I did notice that for some of these blogs, a larger percentage of followers are from Scranton: For example, VeganSweetiePie also has nine followers from Scranton, but this is out of a global total of thirteen. So it seems likely that VeganSweetiePie is a blogger from somewhere in or near Scranton, or has a strong Scranton connection. Poking around a bit, I see she makes a reference to ECTV - Electric City TV out of Scranton. So far so good. I also see that she hasn't posted since - ummm, 2.18.2010, which, assuming we're not in a European country where they have eighteen months, translates into February of last year. Is this a dead blog? Moving to her profile, I see she's listed her Location as NEPA. That's good. But she doesn't list any other blogs, so I have no idea what she's been up to for the past seventeen months. Let's see. Her video on Vimeo identifies her as Heather M. Davis (assuming that the person in the video and the person in the profile pic are the same person.) Clicking through on her name link takes you to this page, which doesn't tell you much more other than the fact that she "liked" something 30 days ago. The link from her Vimeo page to her MySpace page is to a page that hasn't been updated in over two years. And that's where the trail gets cold. There are lots of Heather Davises on Facebook, and fewer Heather M. Davises. Googling her name plus "vegan" returns some promising results. But, all in all, it looks like this is a NEPA blogger who has stopped blogging. So I'll file this away. Maybe someday I'll post it to NEPA Blogs, along with a few other interesting but apparently dead blogs that I have recently found. There are plenty of other blogs on the Networked Blogs Top 50 Blogs in Scranton, PA that need investigating. And then I have to start poking around on Networked Blogs to see if I can get results for places other than Scranton. NEPA blogger Jessica Durkin's blog addresses a global question: Where do you get your news in a world where traditional news media is rapidly collapsing on itself? InOtherNews is a compilation of online, independent journalistic start-ups in the wake of legacy media layoffs and industry shrinkage. E-mail me links to new news endeavors at jessdrkn@gmail.com. The (loose) criteria are that the sites serve as a “replacement” or supplemental news source in areas where the local newspaper or broadcast companies are dropping coverage. The scope can be local, state or national and be niche or broad-focussed — it just needs to be a journalistic endeavor with a newsgathering mission and not part of a corporate media site. However, no hate-speech sites please, such as a community site that serves only to bash a certain group or political figure or to spread unverified/false information. Jessica's blog looks at independent journalistic endeavors from all over the country. Visit her site to see how people are dealing with the evolution of news media - and the loss of traditional news outlets. Here's a blog written by Gary R. Ryman, a firefighter from Northeastern Pennsylvania. Check out these two blogs! Far to the northeastern part of Northeastern Pennsylvania is the borough of Honesdale: setting for the thriller The Long Kiss Goodnight, location for the filming of Wet Hot American Summer, and...well...I'll let you find out for yourself. "It's What's Happening in Honesdale"
Not only does this blog provide information about what's going on in Honesdale, it also provides essential links to other Honesdale sites. It's your central source for everything about Honesdale! I'll admit it: I'm one of those people who don't "get" Tumblr. Some of the Tumblr blogs I've seen are indistinguishable from blogs hosted on other platforms. Some are just endless streams of disjointed photos, reposted by and from hundreds of other Tumblr users. And some are something in-between, a photo-heavy version of a blog. I came across this while reviewing the NEPA Blogs SiteMeter "Recent Visits by Referrals:"
OK, that could be interesting. I followed through and found...a picture from Nepal, three from koreanphotoshoots, and a bunch of other things that, as far as I could tell, had nothing to do with Northeastern Pennsylvania. But then I spotted a few that clearly did. Described (in text I can't copy and paste) as "Daily musings of a husband, father of two, full time civil servant, thinker, opinionator, and starter." A photo blog, with plenty of evidence to indicate the blogger has a connection to NEPA. A photo blog of Scranton. The photos on the front page (at least) were made using the Instagram app for the iPhone, making them appear to be snapshot photos from the 1970's. That's just three. Rooting around on Tumblr for photos tagged with "nepa" will probably reveal more. Some other day. I came across this blog in an odd way. I spotted a hit on my personal blog coming from a blog I had never seen before. It took a few minutes to figure out that this blog is written by someone I have met several times - one of the least fringy people I know! Go grab some chicken wings and the adult beverage of your choice, and pay JimboBillyBob a visit over at Posts From The Fringe! I hit this blog by sheer accident while doing a Google search for 5k Run/Walk's in the Bloomsburg/Benton/Berwick area. I'm looking to get into shape and was hoping to find one somewhat close to my house. 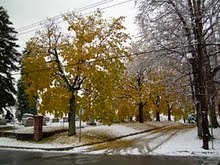 Billtown Blog is authored by "Billtown Blonde" of Williamsport. 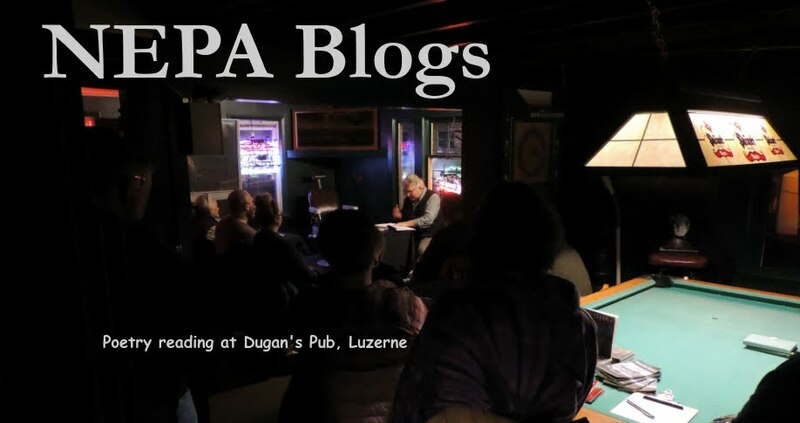 It is a blog about News & Commentary on Life in Willamsport, PA and the Surrounding Area. The most fascinating thing that I found about this blog was the blog roll. 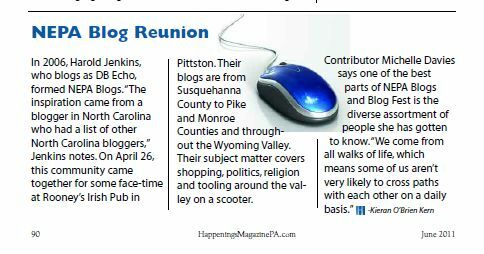 Who knew that there were so many bloggers from the Williamsport area? I hope that by linking Billtown Blog, some of the Williamsport bloggers will want their sites listed at NEPA Blogs as well. This brings me to raise a thought provoking question: Is Williamsport technically part of NEPA? I am not sure. There are no set boundaries for the area known as "NEPA" (at least as far as I am aware). DB & I discussed this before going on the air on ComputerWise and a bit while on the show. What do you consider to be "NEPA"? Leave a comment with your response. I'd be curious to see what your thoughts are about this topic. I was wondering if you could include my blog, Jilly beansTALK, on the NEPA Blogs? Thanks.. and do you know of any other NEPA style blogs out there? I've looked and looked and can't find any. I can't be the only person who has one! Be sure to check out Jilly Beans TALK: A Plus-Size Style Blog! And how about it, NEPA? Does anyone know of any other style blogs based out of Northeastern Pennsylvania? If you do, drop us a line, and we'll be sure to list them here on NEPA Blogs! Located at 201 Vine Street in Scranton. We are an art gallery and all-over creative space for local artists We have monthly art exhibits, with openings on First Friday. We show all forms of art: paintings, drawings, photography, sculpture, installations, mix-media, ect. We teach art to children and adults and we sell hand-made and collectible goods! Go check out the New Visions Studio and Gallery blog! 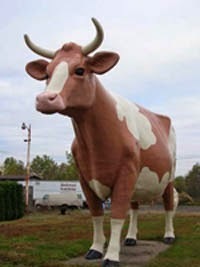 And if you like what you see, why not visit them in person? I want to preface this blog post by saying ahead of time how shocked I am that this website has never made it to our blogroll sooner (As an aside, his webpage is not a blog, but I strongly feel that it still deserves a spot on our blogroll). (From LinkedIn) Carl Abraham is the Assistant News Director at WNEP-TV for those of you that don't know. A few years ago, through doing a Google search for WNEP, I came across his webpage - which can be found at http://www.carlabraham.com. 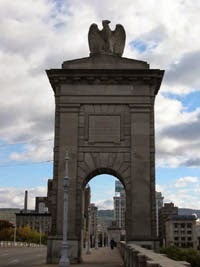 Carl's Scranton PA Homepage - There are a bunch of photos showing the downtown landscape and how it has transformed with the various constructions projects that have happened over there years. WDAU-TV Tribute Web Site - A pictorial page of WDAU-TV (*ahem* now referred to as WYOU-TV)'s cast and crew. If you look hard enough, you can find David DeCosmo author of the "No News Is..." blog which is linked on our blogroll. WNEP-TV Tribute Web Site - The WNEP Tribute Web Site section has the same feel as the WDAU website section, except (you guessed it) with WNEP cast members. I spy with my little eye....blogger Jennifer Wade and A. Pal in some of the photos posted, although, I'm sure there are many more faces you will will recognize. Scranton St. Pat's Parade - Aerial photos of the city during the parade and various marchers along the parade route with some brief commentary about the parade. 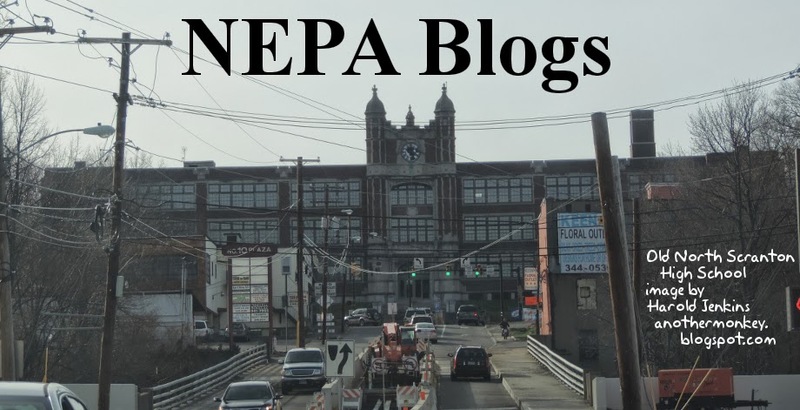 I think the page is worth a look if you haven't already as it is a historic look on NEPA's media presence and landscape and how it has evolved over the years. I sincerely hope that Carl keeps updating the "virtual museum" (as I like to call it) with pictures so we will always have a way to remember the past. After watching WBRE's news at 6pm tonight, I learned all about a Town-Wide Sidewalk Sale occurring in Jim Thorpe this weekend. I wanted to learn more about the event and the details so I could announce it on the NEPA Blogs Twitter page (as I do from time-to-time). I came across the Jim Thorpe, PA Wordpress Blog. You can find out all about the history, tourist attractions and upcoming events in Jim Thorpe. I'm not sure if you have ever been to Jim Thorpe or driven past it, but it is quite the charming little town. The blog is linked from the main JimThorpe.org website where you can find even more information about Jim Thorpe. I hope that you take the opportunity to check out the blog and website. I will link them both from the sidebar! By the way, if you are interested in attending the Sidewalk Sale in Jim Thorpe this weekend, you can read all about the details of the event here. Jim Thorpe, PA hosts its fifth annual Merchants and Neighbors Sidewalk Sale. If you are looking for a great bargain, finding some fun stuff or hidden treasure, than come to Jim Thorpe’s Historic Downtown District Saturday July 9th and 10th, 2011. Noon to 5 PM, rain or shine – come and make a day of it. A new site for We Shop Deals 4 You! For now, we will be maintaining links to both the old and the new sites. This blog is chocked full of adorable geekery, spooky chic fashion, internet magic, ridiculous drawings, and cute web design. I am not responsible for any brain damage that may occur. You've been warned. Go and visit Darling Stewie! Just try not to overdose on the cuteness. You've been warned. I had to do it! I had to create a blog so you and I could gripe about all of "The Crap" that we encounter everyday in our lives. Believe me, there is plenty! You can now come to this blog to Gripe because you have the right to do so. Over time, we will Gripe about topics ranging from sports to politics to just about all of the garbage that happens around us. When you Gripe, you can add your name or not. It's your right! You can vent any way you want. Use foul language if you are angry enough to and if you are offended, just Gripe It! There's a lot to gripe about in NEPA, and this blog isn't afraid to do it. If you have a gripe, or just want to read other people's gripes, stop by THE RIGHT TO GRIPE! As you know, Harold and I did an interview with Happenings Magazine several months ago about NEPA Blog Fest (Spring Edition) that was to appear in July's issue. I was very excited when the calendar flipped from June to July yesterday so I could see the fruits of our labor. I searched throughout Happenings Magazine's online PDF files of their magazine and to my dismay I did not see our interview. Deciding to dig deeper, I Googled myself (which kind of sounds perverted when you really think about it) using the phrase "Michelle Davies Happenings Magazine" and came across the interview. As it turns out, the interview appeared in the June edition of Happenings Magazine. I am extremely disappointed by this because I'm sure by now most copies of the June edition have long been recycled or thrown away. Luckily, my Google sleuthing skills helped me get the path and a screenshot of the article.